Thread is a lightweight process which has its own call stack. We use threads to achieve unit of work. Instance of Thread or object of Thread is similar to any other object In Java which has both state(variables) and behaviour(methods). It lives and also dies in heap. Thread of execution is a separate lightweight process which has its own call stack. Every thread has its memory cache but they can access the shared data of other threads. When a JVM starts up, there is usually a single non-daemon main thread exists which typically calls the main method. 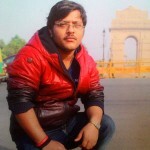 We can write code to start other threads as per our requirement. JVM allows an application to have multiple threads of execution running concurrently, we call it is multithreading. 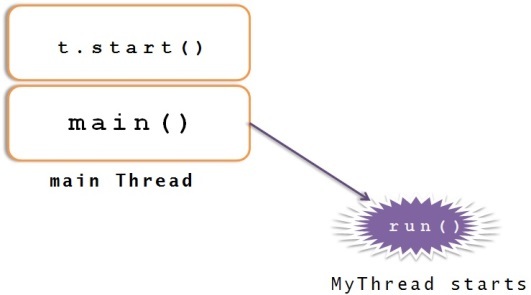 Thread (capital ‘T’) is a java class which is used to create the Thread. It has methods for starting a thread,joining threads etc. Each and every new thread runs in a separate call stack. As we learned that main method is called by JVM by creating a separate thread, It will run in a separate call stack. New thread “MyThread” is called and begins the execution and main thread execution is temporarily suspended. JVM keeps on running these 2 threads(Main thread and MyThread) alternatively until both threads complete their execution.